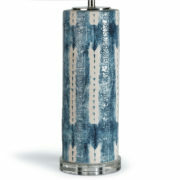 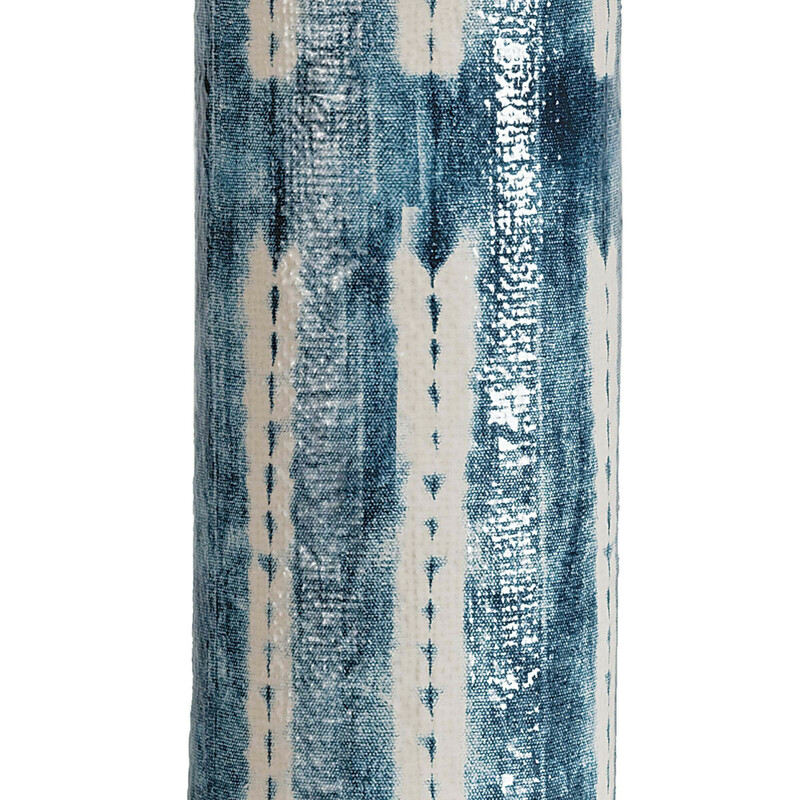 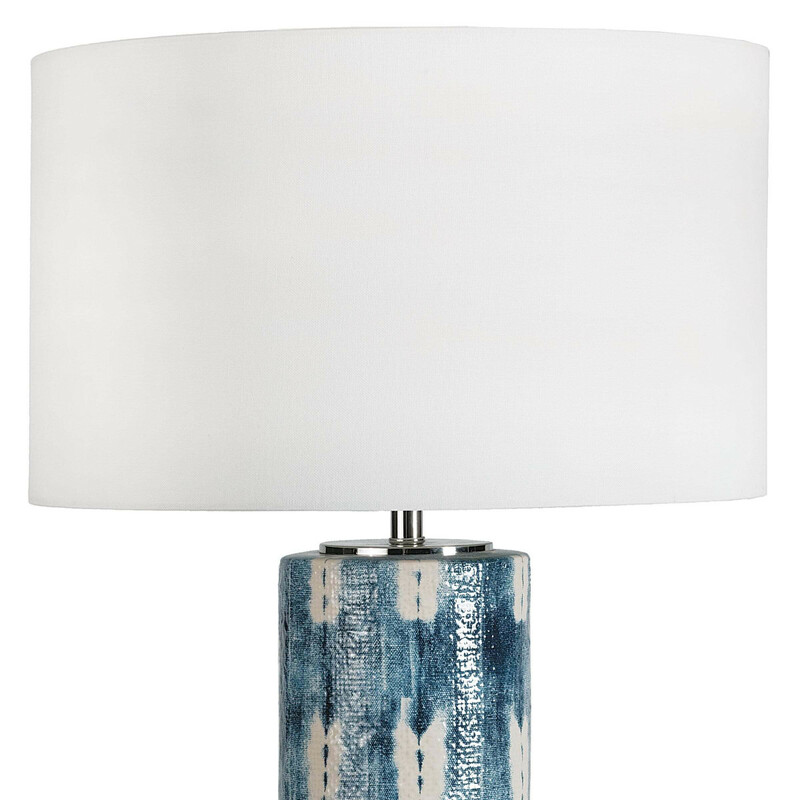 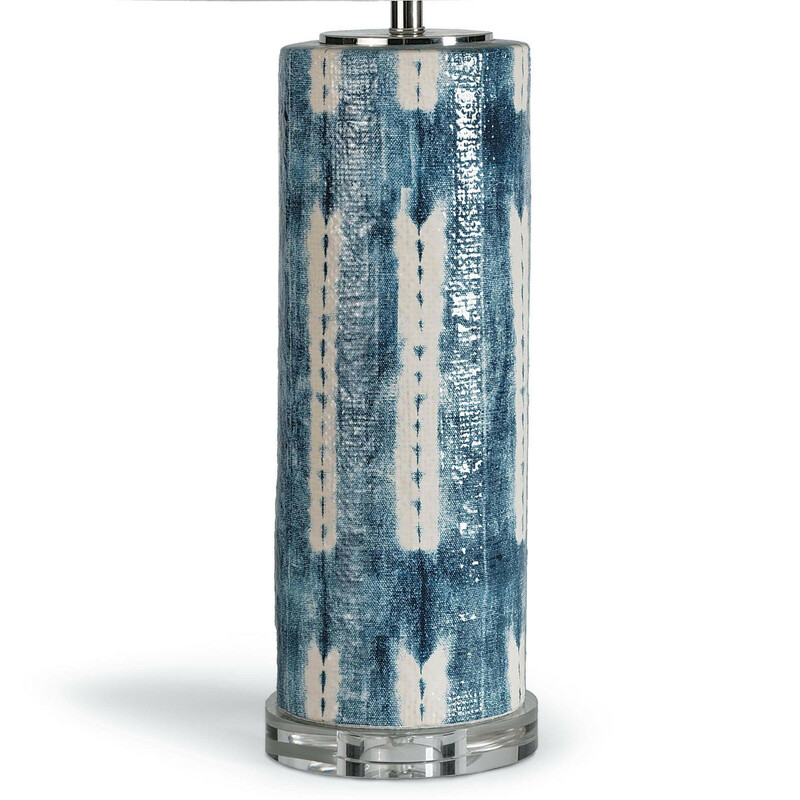 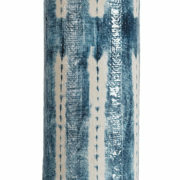 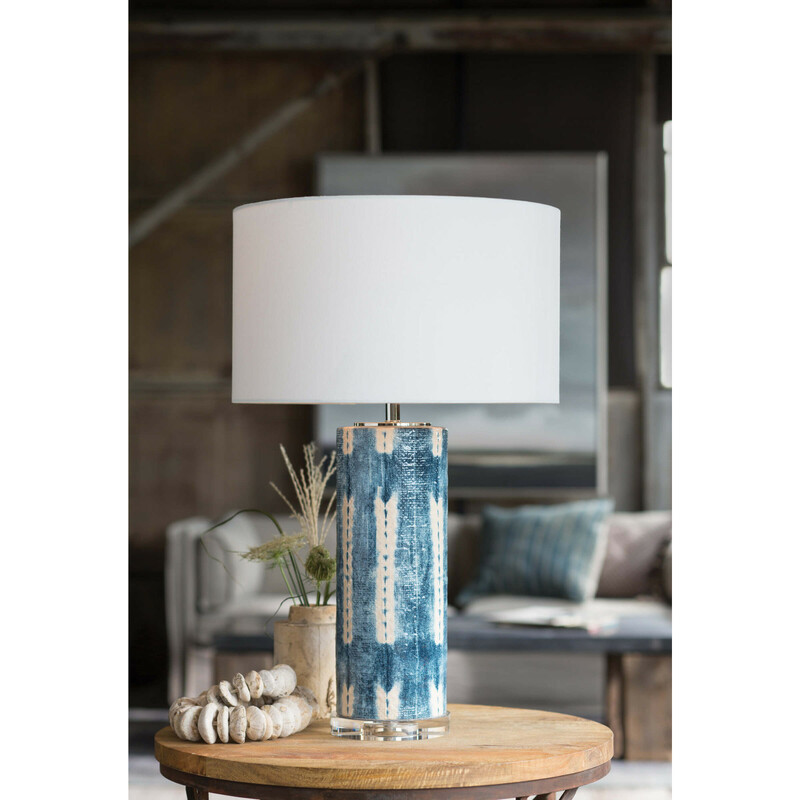 Master artisans produce a fresh and modern take on the classic blue and white look of the Mali ceramic table lamp. 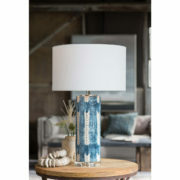 The crystal base serves as an elegant platform for the lamp’s dramatic scale and shibori-inspired finish. A natural linen shade, rounded and rolled by hand, is topped with a round polished nickel-finished finial.